If your customer calls to inform that a shipment has not reached on time, the immediate concern is to use a particular channel to keep the customer informed about the status of shipment. If the customer service has access to multiple touch points, the service can easily find out a channel convenient for the customer to track the shipment. Multiple touch points can also help gain information about the customer’s activities within a site and frequency of her purchases. This helps service agents to understand the primary needs of customers and details like why a shipment is taking too long? It may be an intuitive approach at times, but it makes use of all available resources to shape better customer experiences. The challenge for today’s organizations is to make customer experience seamless in an intuitive manner. This requires unifying data across different customer touch points to anticipate their requirements effectively. Majority of Millennials go online for information, shopping, and reviews and expect a seamlessly pleasant experience. Customer experience is the sum total of support across different channels, predictive engagements using data analysis, and enablement of self service. The effective combination of data, design, and multimedia resources, which inform and help customers to complete the task themselves, can enrich customer experience. CRM metrics provide quantitative measurements of all customer interactions with an organization. The metrics profile and segment customers based on demography, behavior, and lifestyle, and retrieve data instantly about external engagements like sales history, resources, and personal data. The customers can be viewed at their precise purchase stages to plan your responses. 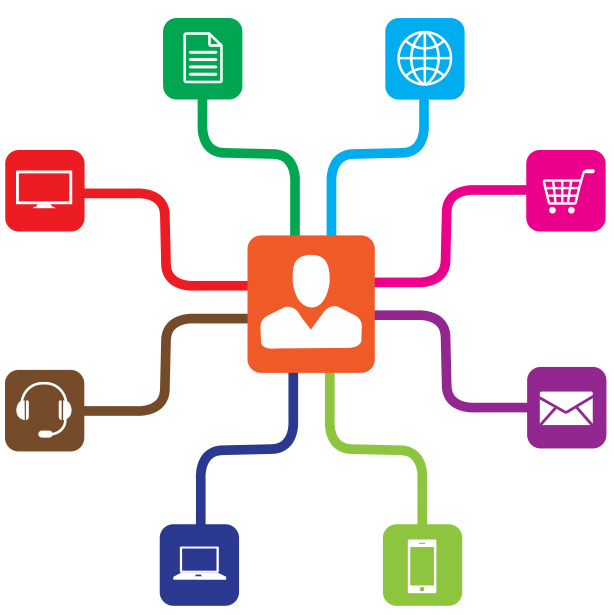 An integrated CRM system can track customer journeys across digital devices, social media and other platforms. This helps to identify situations, products, and links that are desired and needed. Based on the devices a customer is using, a service provider can push an app, a form, or send pertinent information to add relevance to the customer’s experience. Research shows that 80% of customer interactions occur through phone calls. Analog interactions can be enriched with utilizing the enhanced capabilities of the smartphone. CRM systems can be used to detect devices used by the customer and format responses accordingly. The agent can incorporate visual content to make the session more enabling. The focus is on using CRM capabilities to identify the needs of the customer and customizing your responses adequately. Understanding a customer’s journey across different channels can help organizations identify the “moments of truth”, where experience may have fallen short of expectations. Unifying social media conversations, complaints, reviews, purchase histories and more within a single interface helps to optimize deign, information, and service capabilities. That’s what takes customer experience to its maximum potential. 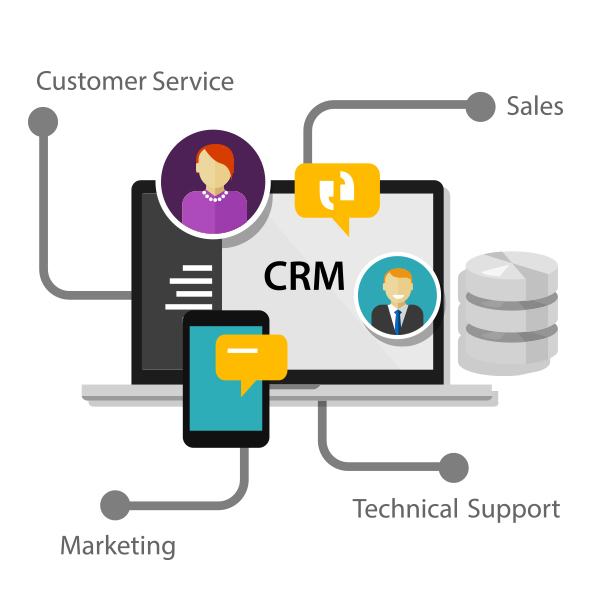 CRM applications provide valuable data, which can be utilized to deliver bespoke solutions to individual users. Integration with multiple channels and platforms provides data which can create a 360-degree view of customer journeys and identify gaps in your service. Intuitive improvements enrich customer experience and result in stronger customer loyalty. Customer Relationship Management. Three powerful words crucial to your business! What do the mention of the three letters – CRM -- bring to your mind? Menus, forms, fields, data entry, data analysis and reports? Technology and software? Most entrepreneurs view CRM as a tool to better business operations. At Auric Technology, CRM is all about the customer, followed by the relationship, and then the management. And the technology makes all of this possible. CRM is, before being anything else, a philosophy. It is sadly true that most businesses consider CRM as a technology, rather than a fundamental philosophy. CRM has to be the core philosophy of business, based on which your strategy is designed, your KPIs are decided, and your software tool is structured. When the priorities get reversed and you care more about the tool and not enough about the customer, there is trouble looming around. That is why our solutions never look the same for two clients. We have the technology and know-how to get the right things done for you. When we join hands with you it evolves based on your customer-facing philosophy and grows organically to take your business to greater heights. The technology platform integrates all the processes, business rules, workflows and data records to support sales, marketing and customer service operations. This robust support facilitates a relation of trust and mutual respect with the customers, and engages them in an organic conversation. 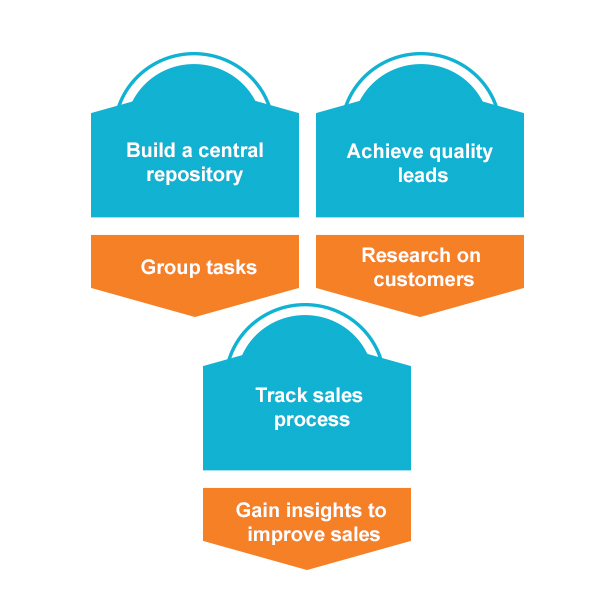 Right perspectives and rightly programmed tools facilitate seamless integration of marketing and sales teams. Ultimately, if customers love doing business with you, they will continue to do so, and will also bring more customers to you. If they don’t like the experience, they will just go away, and perhaps, their opinions will drive away a few potential clients from you. Therefore, it is important to be smart in understanding the position of your customers in the sales cycle and connect with them appropriately. Create a holistic view of your customer so that you can prepare sales forecasts, reports, loyalty programs etc. To get the maximum out of any CRM system, every business has to put the customer first. Your money and effort has to be invested on a CRM system that can support customer-centricity. The technology part of CRM can provide the tools to make this customer-centric philosophy a reality and ensure customer satisfaction, which, in other words, means success. Interested in learning about the CRM system most suited to your philosophy? Take our product tour. CRM applications are popular because they simplify the management of both, small and big companies. Using the right CRM application can help close more leads, enhance sales, and improve accuracy in forecasting. There’s no secret trick to it; the applications collect maximum customer data and accumulate them into a single database to process them. Businesses can use transactional information to increase CRM productivity. Integrating your accounting software with CRM makes that possible. Easy access to customer information is always an advantage, as you can understand past trends, spending capacities, purchase patterns, and bills being incurred. They enable you to develop vivid understanding of circumstances and forecast trends with high accuracy. If you use different applications to manage your salespeople and managers, you need to invest a lot of time to train, test, and upgrade each of those applications. Only then can you compete with other businesses and provide an equivalent level of service. CRM solutions nowadays can be completely deployed over cloud. This saves the cost of support, training, upgrades, hardware, and infrastructure. It increases bottom-line productivity of your business and helps you receive benefits through higher revenue. Using CRM helps gather quality leads and not just increase the number of leads. Just getting more leads can mean pitching to unwilling customers. This might help fill the database, but only damage conversion rates and reputation. Using customized CRM applications, you can create higher productivity with fewer leads. CRM tools can help your sales team ensure the minimum number of leads ready for conversion. It is both, time consuming and exhausting to make calls, track emails, or even chat through social media individually. Making a set of similar prospects and working on each set at one time is a good solution. You can update your system differently, in case unique follow-ups are required, and complete your CRM in a consolidated manner. Using CRM applications that can automatically categorize work, makes your sales people work faster and more efficiently. Instead of going on making fresh calls to innumerable people, businesses need to research on a lucrative buyer segment before any pitch. The most frequent failures are due to businesses not interacting with the right prospects. Avoid mass emails and generic messages. Know who are most likely to be your customers by tapping into personalized communication channels. They are usually used by niche groups and people with special assisted-living needs. You need a certain kind of sales system or step-wise process to keep the team going. This helps in closing sales and tracking leads. A proper CRM tool can be the best way to monitor if the sales team is following your office procedure. With this CRM software, you can double-check if your salespeople have followed the step-wise procedure of tracking customer sales. A CRM system can simplify many of the attributes of sales. There are CRM tools that record activities automatically. You can find out the total number of sales calls made in a day, the time spent on lunches and meetings, and resources used for setting up calls. By using CRM, your sales team can easily input all the important data in a time-relevant manner. The time saved can be used for more selling. There are different CRM applications used for different purposes. Your application should enhance salesforce productivity, and hence, enable you to provide better customer service. Auric Technology, LLC was founded in 2004. The Company develops, manages and offers its proprietary, innovative, and highly versatile on-demand (web-based) Customer Relationship Management Software (“CRM”) to companies across a wide range of industries.